Tailored for all ages to your experience and needs. Lessons are £24 per hour - pro rata. Fun, educational and interesting walking tours around the beautiful city of Chester. A family treat with a difference. 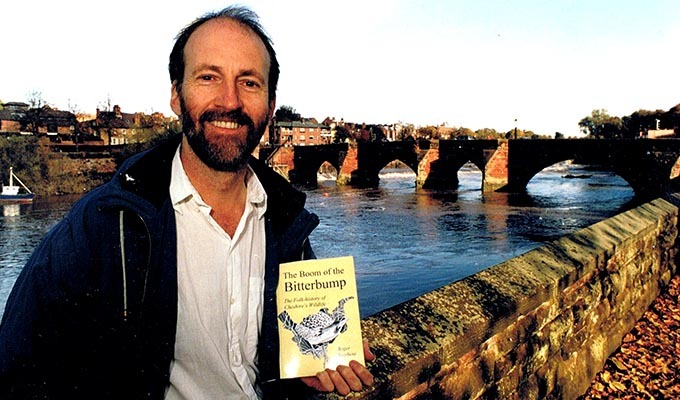 Talks about the history of Chester or about Cheshire wildlife. Something different for an after dinner event or your local wildlife, historical or W.I. group. Books about local wildlife or the City of Chester. 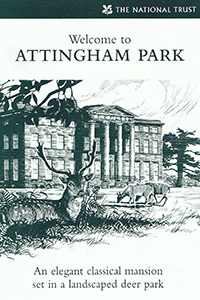 Cover artwork for a National Trust guide book. 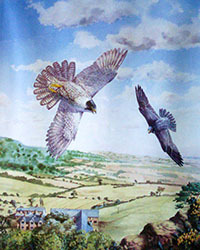 Illustration work by Roger Stephens has appeared in a variety of publications over the last twenty years: book and magazine illustrations (including every issue of "The Grebe" between 1999 and 2010), guide books, interpretation boards, posters, newsletters, leaflets, etc. Although working in various media,Roger has gained a particular reputation for high quality pen and ink drawing, and for his expertise in wildlife and countryside subjects. In 1999, the Cheshire Wildlife Trust commissioned Roger to depict over fifty animals, plants and habitats for its “Countdown ‘99” Biodiversity Action Plan. Soon afterwards, he contributed 23 line drawings to the Millenium Window, a new stained glass window at Bruera church, Cheshire. Each depicts a species of animal or plant that is of particular concern or interest in the parish. In December 2001, "Artist and Illustrator" magazine published an article on his work. “It all began with my father. He was born in smoky Manchester in 1909, the first in the family to show a talent for art, and he soon found himself working hard as an artist with a firm of stationers. A wage-slave on a Monday, perhaps, but he was a free man on a Sunday, off on his bike, exploring the countryside and developing a love of the natural world. Moreover, his talent was big enough to realise his dream of living there; he went freelance and settled in Cheshire. As soon as I was old enough, I was introduced both to the pencil and the bicycle and I took to both readily. I would look over his shoulder as he worked, fascinated by his fluency, the ability to draw anything spontaneously, and that’s still the kind of artist I admire most. I also pored over his reference books and came to admire the great illustrators of his era: pen-and-ink artists like Railton and Frank Patterson and, more especially, the wildlife artists Thorburn, Ennion and, of course, that Cheshire farmer’s son bless with by genius, Charles Tunnicliffe. I still use the old-fashioned methods of those artists and strive to reach their standards. Should you be in need of a graphic artist to produce illustrations for a project, please click on the following link to contact Roger for an informal chat about illustration work, without obligation.